Your Protection is a new rogue antispyware application from the same family rogues as User Protection, Dr. Guard, Paladin Antivirus, Malware Defender, Anti-malware. Your Protection is installed through the use of trojans. 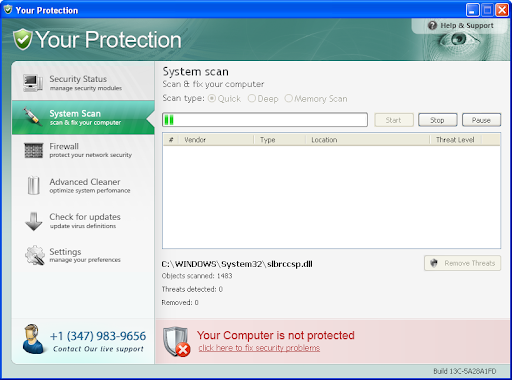 Once started, Your Protection will simulate a scan and reports a lot of infections to trick user into purchasing so-called "full" version of the program. If your computer is infected with this malware then use the Your Protection removal guidelines.